PEAK TRAM – EXCLUSIVELY ARRANGED FOR YOU! Operated for over 125 years, there's nothing in the world like riding the 373 meters long Peak Tram to visit the Victoria Peak. Many skyscrapers buildings you passed by look like they leaning at a 45-degree angle! 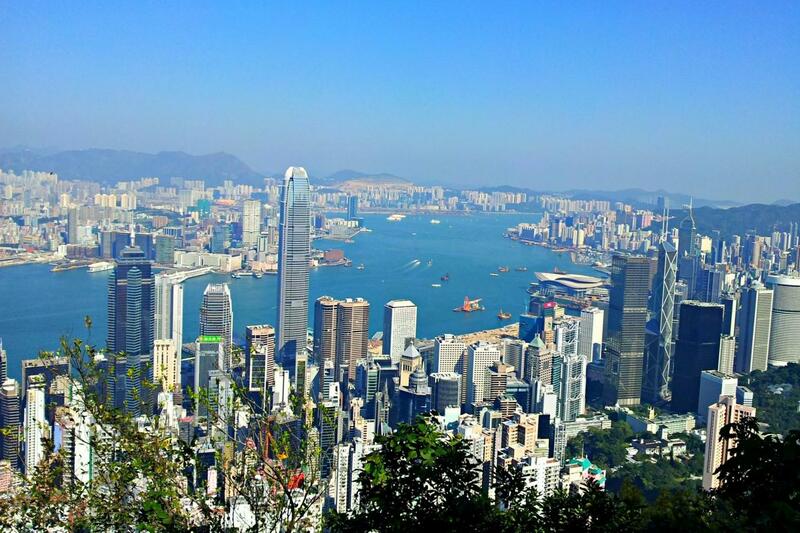 Standing at 428 meters above sea level, it is the highest viewing platform in Hong Kong, offering a stunning 360-degree panoramic view across Hong Kong with the Victoria Harbour. Aberdeen Typhoon Shelter is an old traditional fishing village, the likes of which are difficult to find in any other parts of the world. You may gain a deeper insight of the lifestyle of Hong Kong fishing folks by riding on a sampan (at your own expense). Stanley market is a Shoppers' Paradise where you can find a wide variety of souvenirs such as silk, garments, sportswear, Chinese artwork, and accessories. Specially decorated in a rickshaw livery, you can explore many heritage sites of Hong Kong with a 540-degree panoramic view on this double-decker at your convenience. TSL is one of the few merchants received the 2011 Outstanding QTS Merchant Award for over 10 years in a row. Known for offering a wide range of products from quality cut diamonds to outstanding original design handcrafted jewelry, a visit to the TSL factory will give you an exclusive first-hand experience on its state of art jewelry facility. Tour guide was knowledgeable and friendly! Sites were explained and lots of good info. The jewelry store tour is always terrible... but it's with every tour company. Guide WAS EXCELLENT ON THE DAY AND VERY INFORMATIVE. Great tour. Loved it. Did not like the "pressure to buy" at the jewelry stop. The picture addition was great! Hope we'll get the same picture offer in our upcoming Grayline London tour.